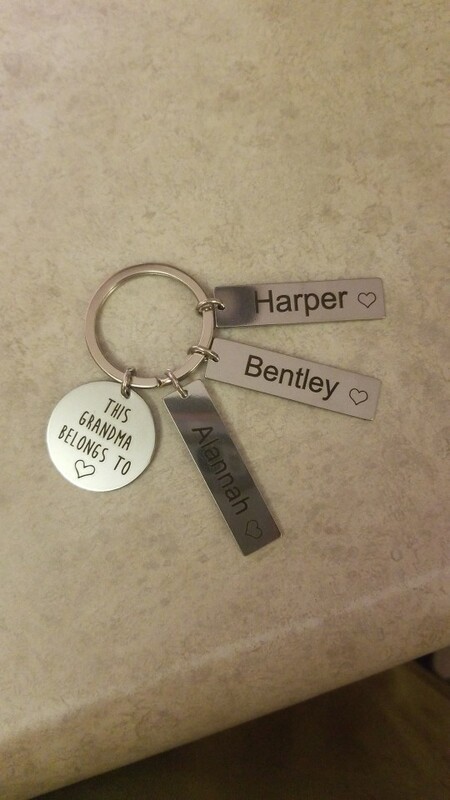 The perfect gift for a special Grandma or Grandpa! 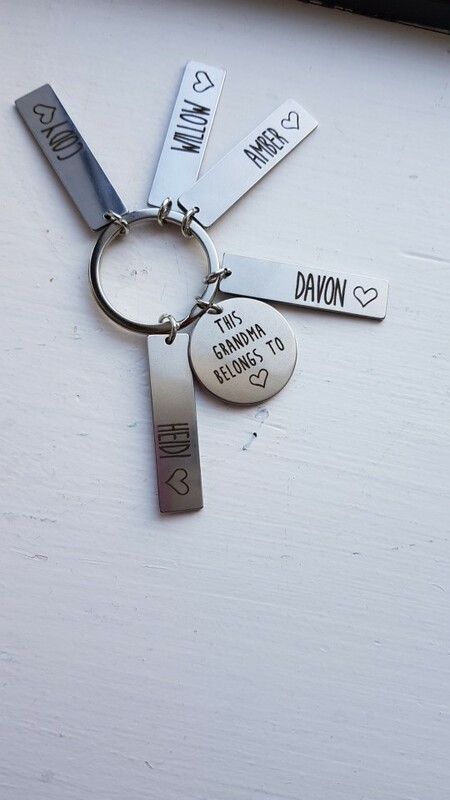 Premium quality stainless steel keyring, engraved with up to 6 grandkids names. 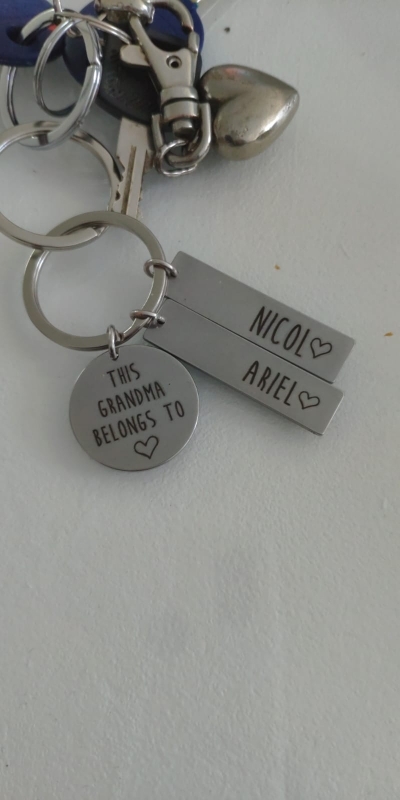 Take them with you everywhere you go. 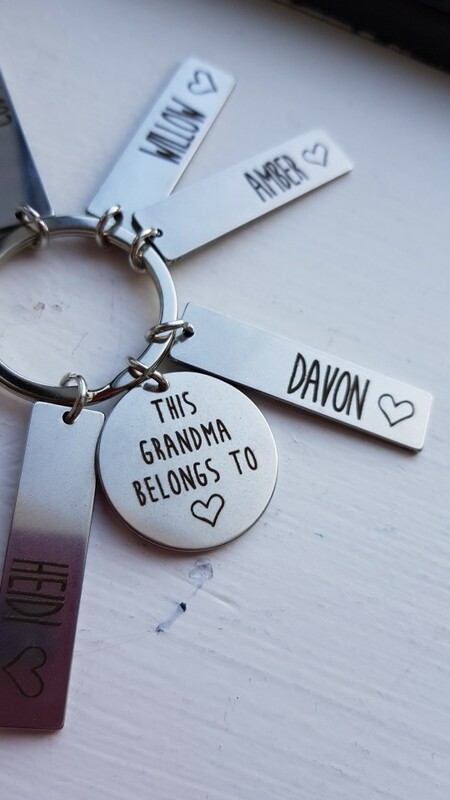 Simply select who it is for and the amount of names your would like added on individual keychains. Then enter your chosen names into the name boxes provided! 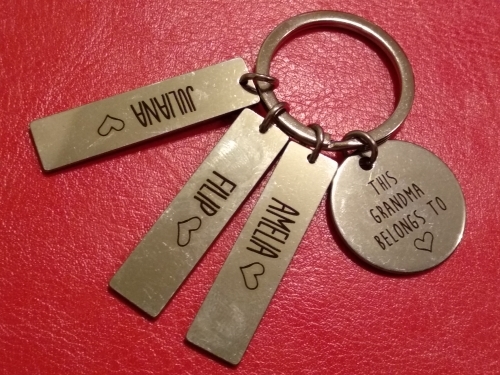 We will then engrave your personalized keychain and send it straight to your door with our trackable delivery service! Please note, we cannot refund any orders if you have entered the incorrect information, so please double check before ordering! recieved in 10 days and its perfect! really good quality love it thanks so much! !